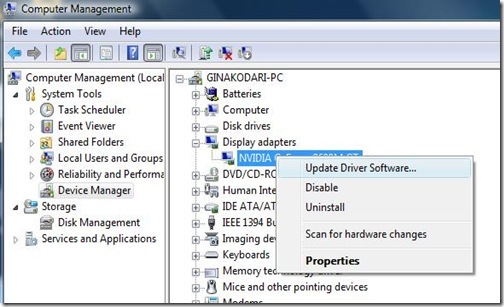 You have probably realized when you install a hardware or plug something new into your computer, Windows 7 and Vista both automatically select the best driver for that device. However, then there are times when you get a CD with the device and this driver comes with a lot more features as well as software. If you made an effort, you would see that the latest version of the driver would be available on the company’s website and by company we are referring to the company of the device you plugged in. If you are unaware of the process you must complete when trying to update your device and its hardware driver, then you have landed on the perfect webpage. Go to “Start” and right-click on “Computers”. Select “Manage” when you are presented with a small menu. This will take you to a window called “Computer Management”. 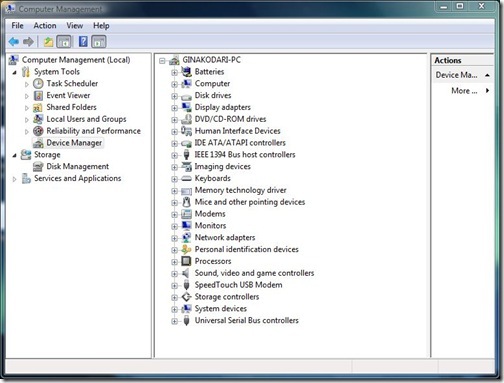 The left side of this window will have the “Device Manager” option, as you can see in the image below. Now, the only thing you have to do is make a selection. This selection requires you to point out whose driver you want to update. 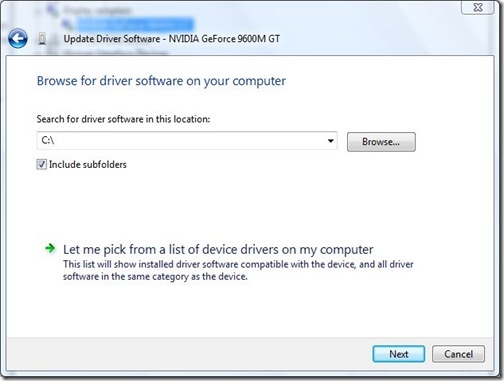 For example, if you want to update the driver of your graphics card, then you would go to the “Display Adapters” option. Right-click on the name of your card. 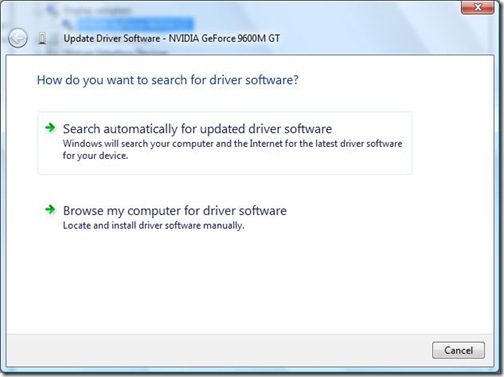 Finally, you just have to click on “Update Driver Software”, like in the image seen below. This is where you have two options you can choose from but we will only be dealing with one. You can install the driver from the CD that came with your hardware or device. Select “Browser my computer for driver software”. The image underneath is the window that you will be dealing with. Hit “Browser” and look for your driver. Once it has been completed, click “Next” and Windows will do the rest.